I f you are new to Higher Education you will find the learning environment is quite different to the one you experienced at school or college. Teaching time will be a mixture of lectures and tutorials – and personal study. And the pace of learning can sometimes be quite challenging. If you’ve just left home you’ll also find that you are juggling your course work with looking after yourself and making new friends – so you might need to improve your time management and prioritising skills just so that you can fit everything in. To help you improve your study skills you might like to take a look at some Study Skills books – they can help you work out how you learn best and give you all sorts of tips on how to make best use of your time. The first couple of weeks is usually a good time to make time to explore this area – before you are too far into your courses and the hand-in dates start to loom. Come along to a Power Hour and pick up some tips. 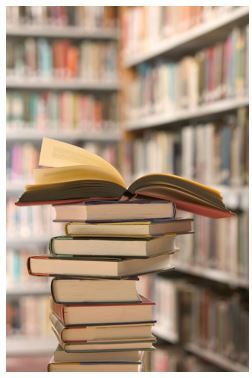 Dip into the books in the library – see Information, Research and Study Skills Books for some suggestions. You’ll also find many titles online – or take a browse through your campus/local bookshop. Follow the links from our Study Support page to a range of online resources.